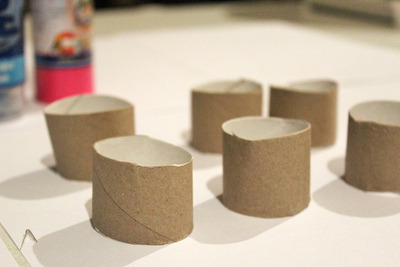 Toilet rolls are such a versatile crafting item. We always end up with so many of them, so why not have a bit of fun when you recycle them? 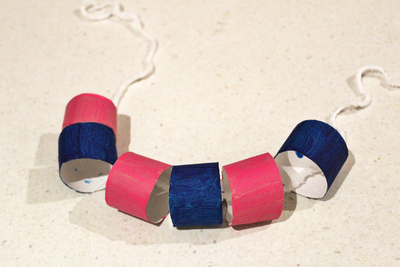 This necklace is cheap and easy to make; and you can put it together with things already lying around the house. 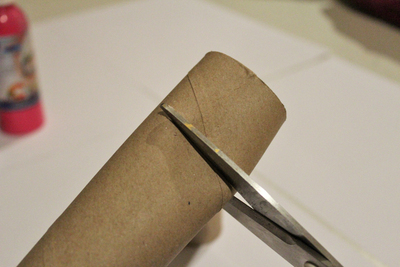 Cut your toilet rolls or cardboard roll into smaller sections (just over 2cm tall). 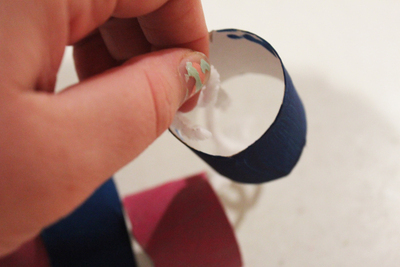 Decide on your necklace pattern, and paint the small tubes accordingly; if you're using two colours, paint half of them in one colour and half in the other. 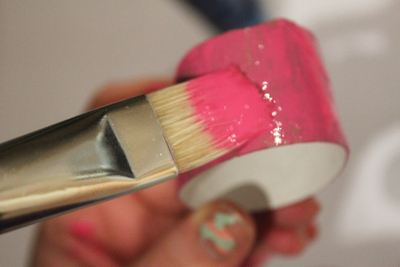 You can get even more creative and paint patterns on them, but it will take longer because you'll have to wait for the initial coat of paint to dry before you get decorating. 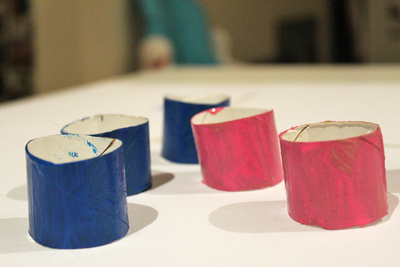 If you don't have any paint in the house, consider using coloured markers to decorate the tubes. 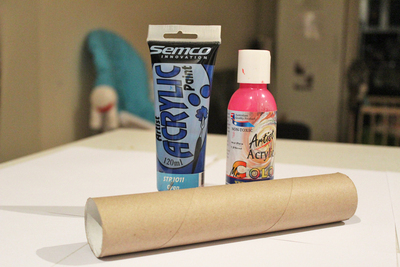 Leave the tubes to dry. Cut your string or wool to the correct length. 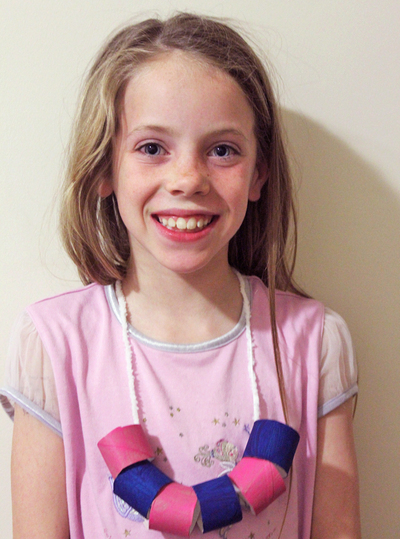 Choose how long you want the necklace to hang, and then measure the string around your child's neck. It's best if the necklace can easily be slipped on and off. Once the tubes are dry, thread the string through them. Tie a knot at the back of your necklace and it's ready to be worn. This is a great recycling idea - simple and fun. Thanks Natasha.